We have just come back from a weekend away for a celebration of our wedding anniversary. We spent some of the time looking for geocaches. It was so much fun that I thought I would write a post about the hobby. 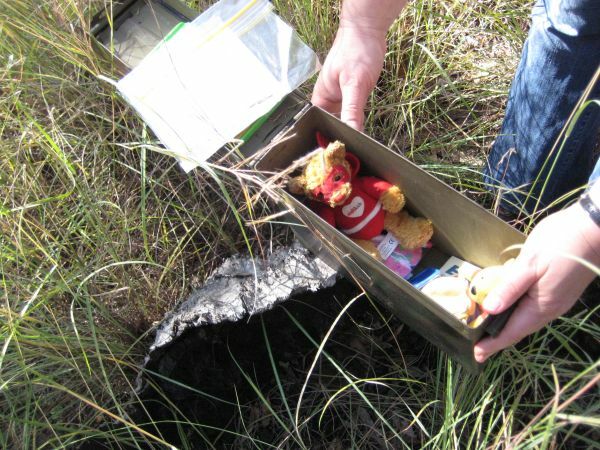 Geocaching is a worldwide treasure hunt with hidden containers or geocaches as they are called hidden in over 1.6 million locations throughout the world, including Antarctica and there is even one at the International Space Station. Because it is fun. It is free to join or for a small yearly fee (US$30 a year) you can become a premium member and get some extra benefits. At the moment we are just regular members, but I’m considering paying for premium membership. 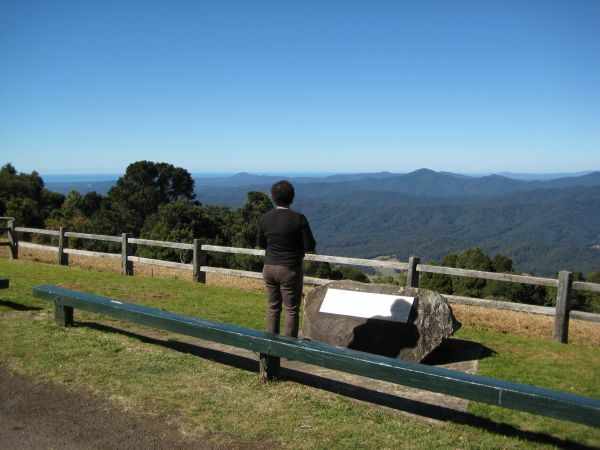 Many geocaches have been set up by locals in areas that they find interesting. These spots are often not on tourist maps so you can be taken to some nice and interesting places that regular tourists don’t normally see. You could end up somewhere like this. 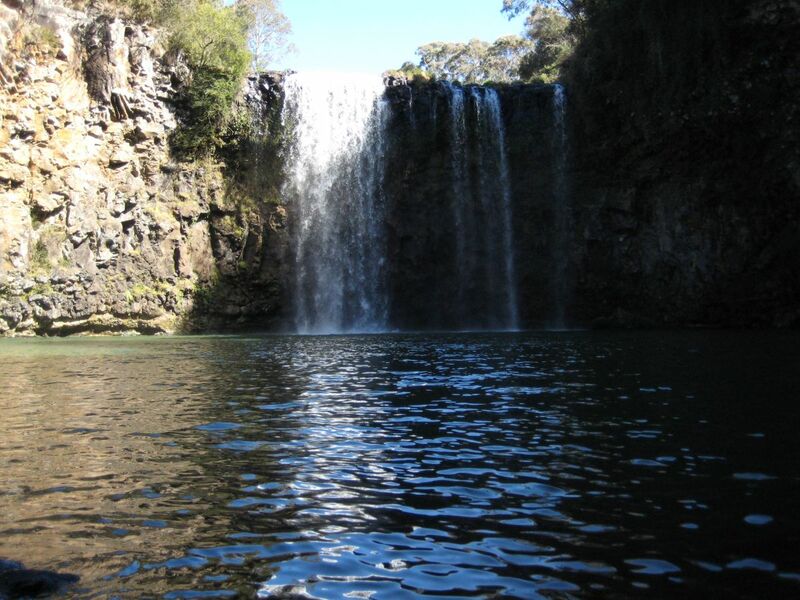 This is Dangar falls located just outside Dorrigo, NSW, Australia. The caches often contain ‘swaps’. These are little items that previous visitors have left. Usually they are of little value, but can be interesting. If you take an item you are expected to leave something of equal or greater value. Swaps can make it fun when you start out or with a family, but many experienced geocachers don’t worry about the swaps – they’re just out for the challenge. You can even set up your own geocaches as long as your follow a few rules, for instance setting one up at an airport is not allowed. Just imagine how badly wrong that could go if security saw someone looking suspicious and hiding a package. 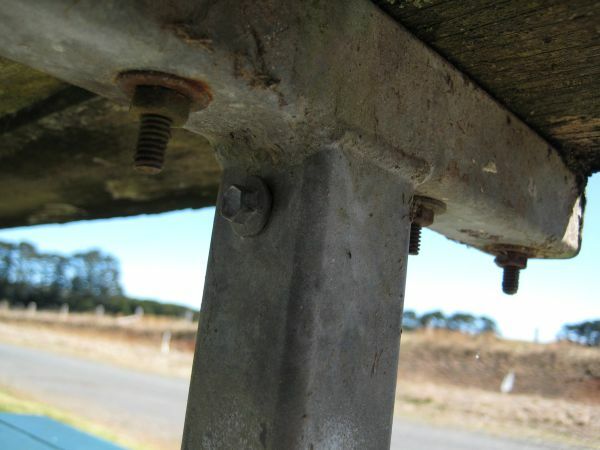 The quality of geocaches and their listings range in quality. After all they are not set up by the staff at Geocaching.com, they are set up by members at no cost. Most caches I have found have been in those plastic clip lock food containers, old style 35mm film containers and eclipse mint containers. A few have been in ammo boxes, which are quite exciting to find, particularly as they can hold a lot of swaps. Ammo box cache. These are exciting to find. This one had lots of swaps. It was out of town so we didn’t need to try to avoid looking suspicious. This cache was lurking under a rock at the side of a pond. 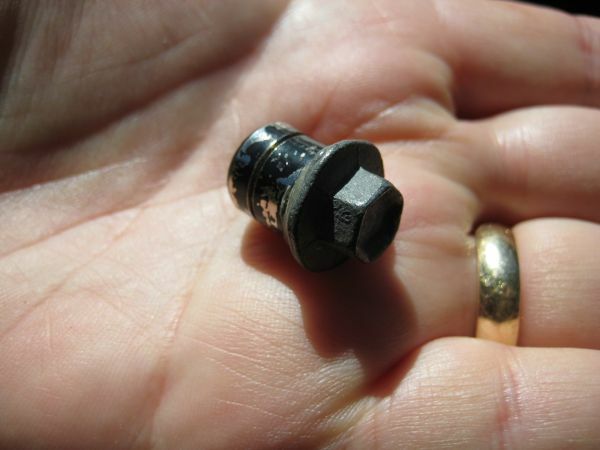 There are some tiny caches called nano caches and these can be very challenging to find. I must admit that we groan when we discover that one on the map is a nano because we don’t have a lot of success in finding them, but when you do it can be quite satisfying. 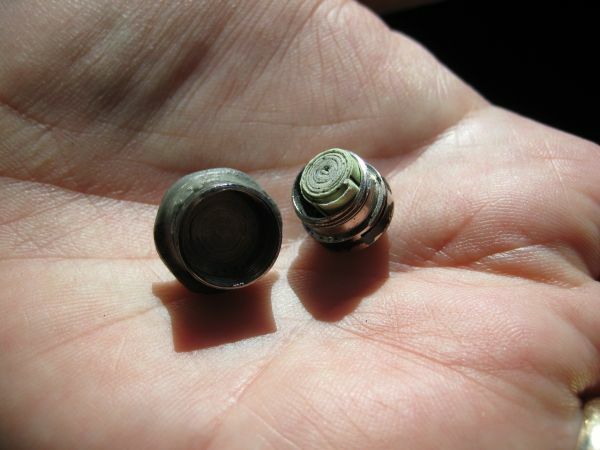 Nano caches usually only contain a log and even that is usually just a sliver of paper. This is the underside of a roadside picnic table. Can you spot the cache? We couldn’t find this one on our first visit and I wasn’t the one to find it on our second visit. Here it is removed. It was very well disguised. Here it is opened. Notice the little rolled up log. There’s not too much you need. You need to register which is free and then you need some sort of GPS, although you may find enough clues in the listings for some caches to find them without a GPS. We managed to find our first three that way, but then we realised the values of a GPS. I thought we would try and find a cache in a forest by looking at Google maps. We didn’t find it. After going back after buying a GPS I discovered we had been looking in an area about 500m away from the cache. Using Google maps may work in built up areas, but it gets difficult in a forest. You don’t need a dedicated GPS. Many modern smart phones have a built-in GPS which could be suitable although they are not all as accurate as a reasonable dedicated GPS. There is a bunch of reviews by members that is worth looking at to see what others think of any device you already have. If you are going to use a smart phone then a free app such as c:geo for android or the official one for Android and iOS will get you started. Trackables are items that start off by being placed in a cache by their owner. Each trackable has their own unique identifying number and log page. Visitors can collect trackables when visiting a cache, leave a note in the online log and then drop them off in another cache. In this way the trackable moves from one cache to another and its travels can be monitored online by everyone. One of the first ones we came across we dropped into a cache in Australia and within two weeks it was in a cache in Las Vegas and has since moved to Germany. This sort of travel distances is not too common, but not unusual either. 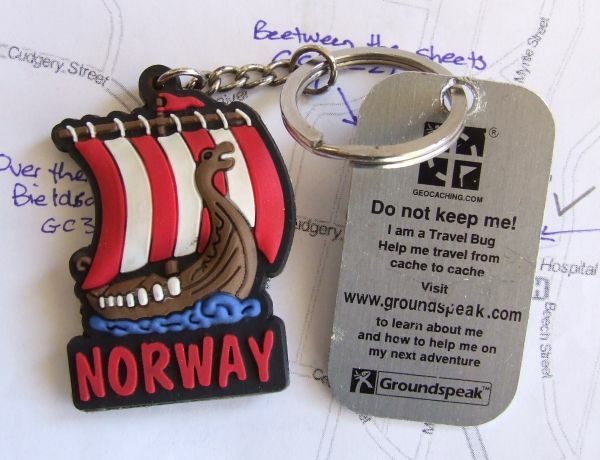 This trackable travel bug was found on our weekend trip. The tag is the official bit with unique number. The keyring was added by the owner and is known as a ‘hitch hiker’. This one started off in Germany. In most cases you should not keep a trackable. In those rare cases that you are allowed, it will be obvious on the log. However, it’s not too difficult for people to steal them and they do go missing. From the few I’ve found the successful ones are usually interesting, but not enough for someone to want to steal. 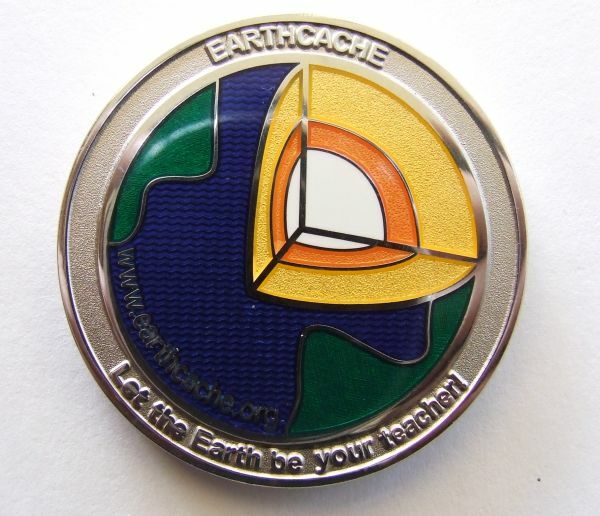 This is a beautiful geocoin that we found. Its actual size is about 4-5cm across. It was still going last time I looked. I hope no one decides to keep it. Many enthusiasts soon want to be the first to find (FTF) a newly listed geocache. If you are a regular member it will be tricky because you will not be notified when a new geocache is listed. If you are a premium member you can be notified about these. This would vastly improve your chances being the first. Our family were the first to find one cache. It was pure luck we did. After a visit by my sister and nephew one afternoon, both of which are keen geocachers we looked at the map of our town after they had left and noticed a new geocaches and headed out. My sister and nephew must have done the same or had been notified about it after they left our house too. We got to the cache first. Half an hour later my nephew found it and was still filling out the logs when my sister turned up looking for it. Pathtags are customized tags that look similar to a small coin. They usually have coloured graphics and/or text. 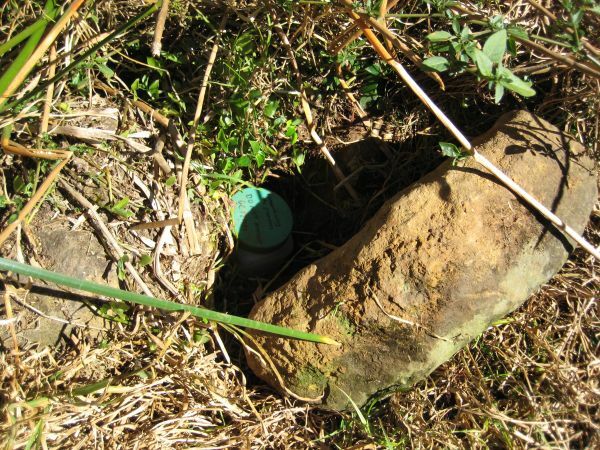 Some passionate geocachers design their own, pay for a quantity to be made and then drop one in some of the caches that they visit. Visitors that come along later can take the pathtag, fill out a note in the tags online log and then keep it. We have only found two of these, but of all the things I have seen in a cache, these have been the coolest and most exciting finds. If you have never tried it, go to the Geocaching.com website register and have a look at the map of your area. You will probably be surprised to discover that there are some close by – perhaps in a spot that you go past every day. If you’re interested check out the Geocaching 101 page and have a look at this official video.